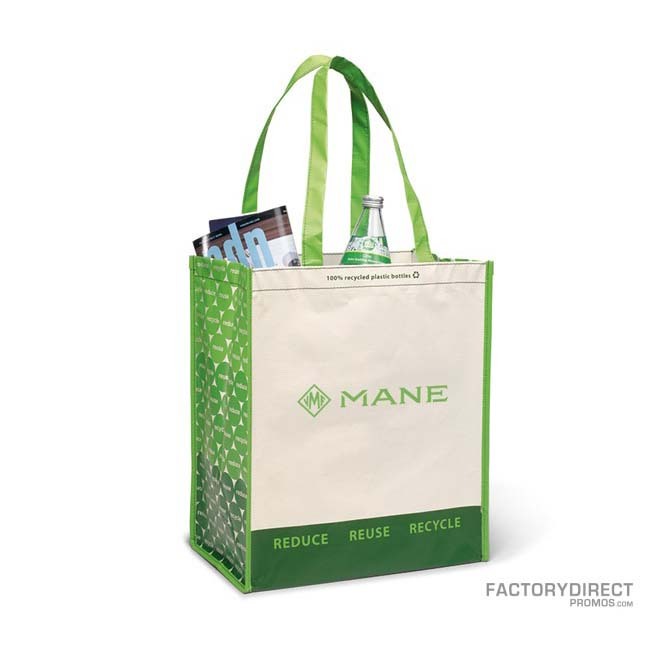 This fashionable tote is great for all your needs. 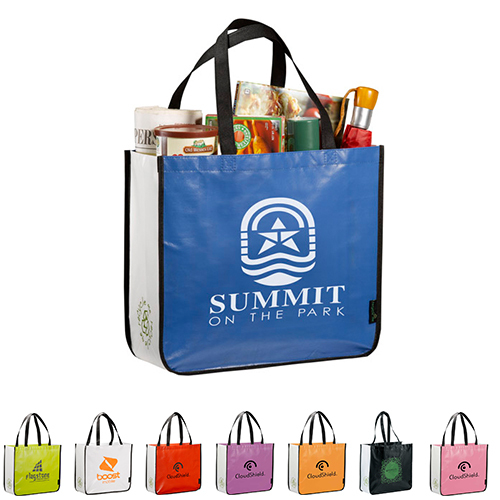 It has a large main compartment, generous gussets to maximize capacity, and 23.5″ handles. 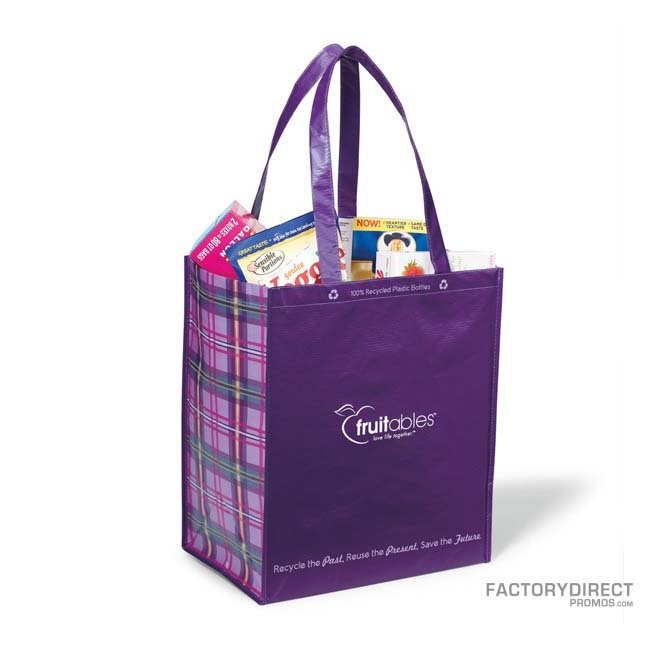 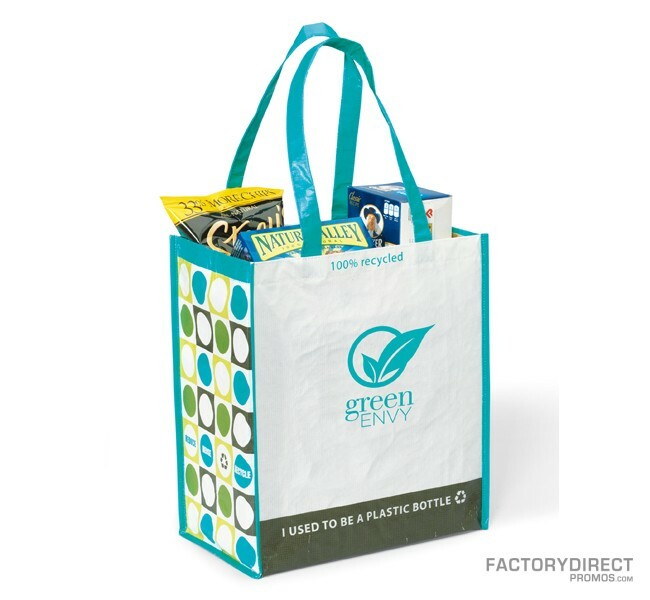 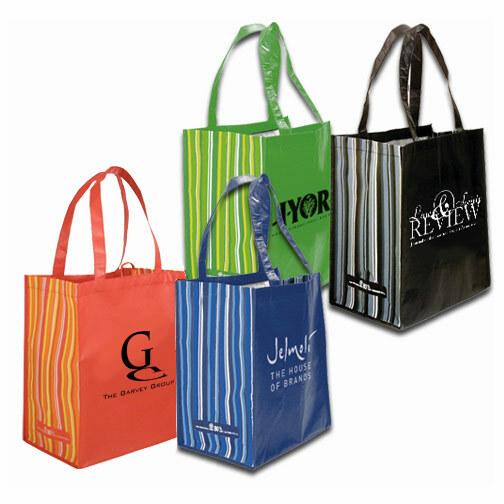 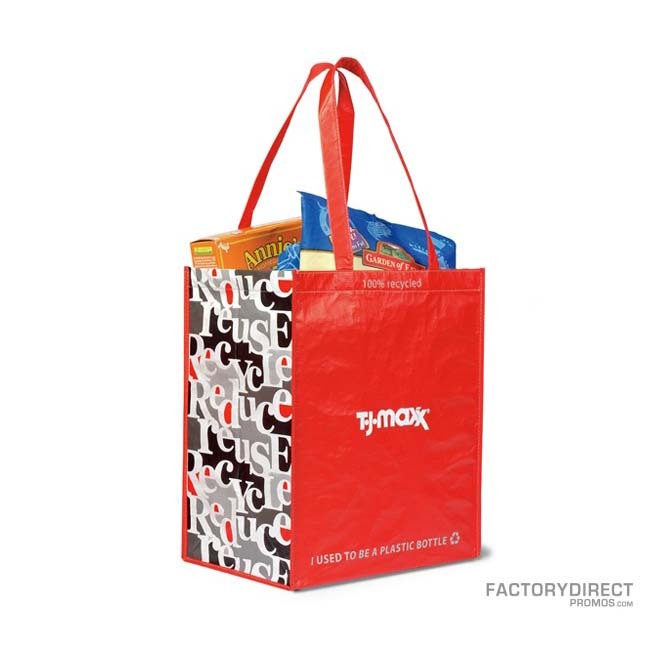 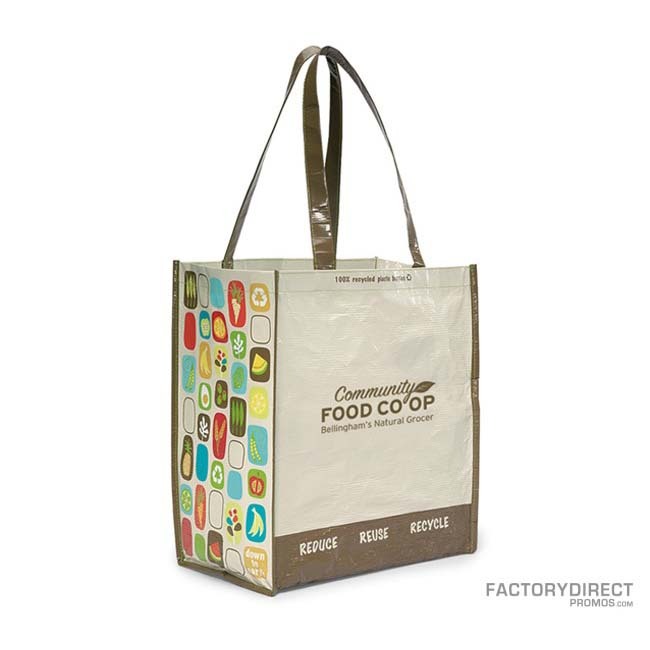 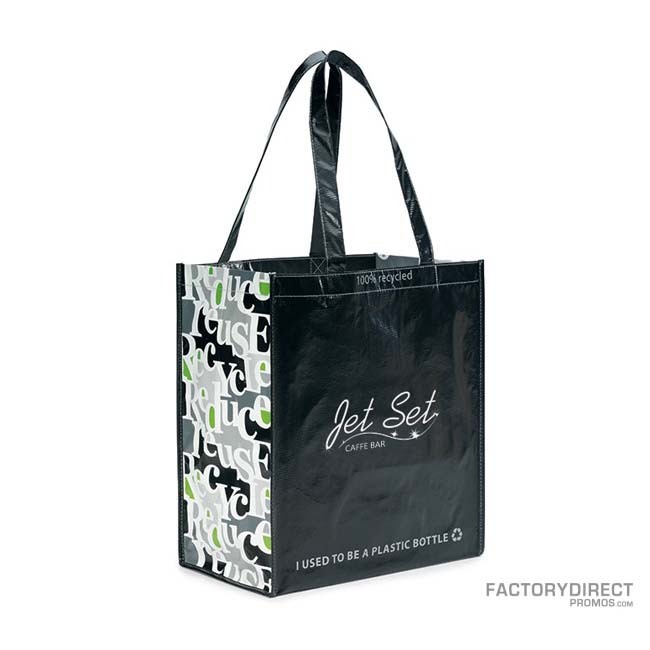 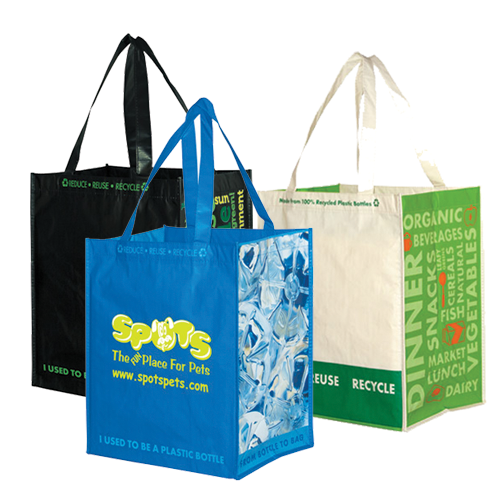 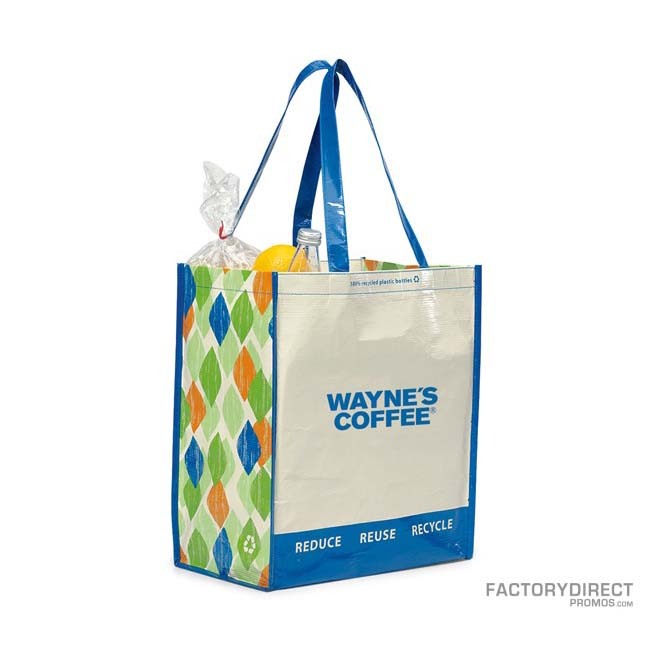 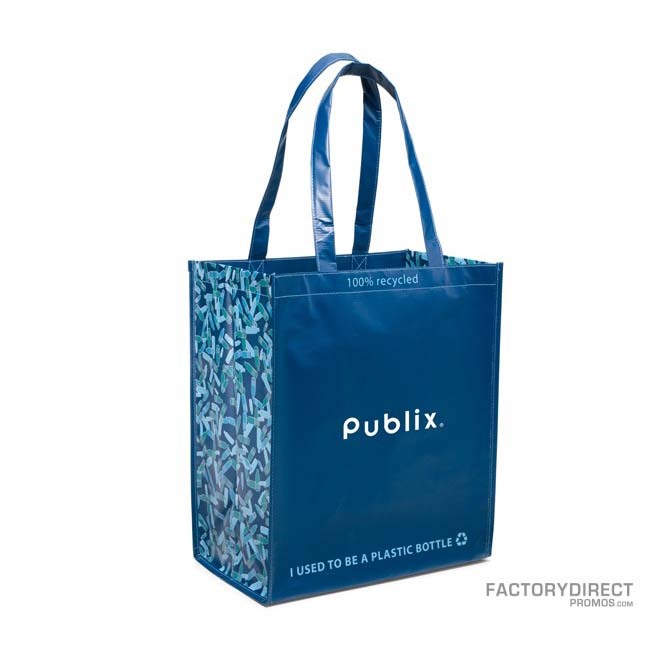 Made from recycled PET, this bag is the perfect eco friendly options to display your logo.